After 30+ years the factory lens becomes cloudy or cracked. The print wears off, why have it look so terrible! 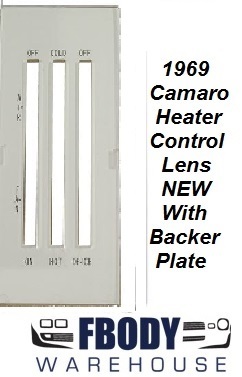 Custom white heater control lens with black lettering. Clear lens with black lettering and automotive grade moisture resistant white backing paper adds that custom touch to your dash. A great accent to white face gauges. New retaining clip set sold separately see other items in this category for them!